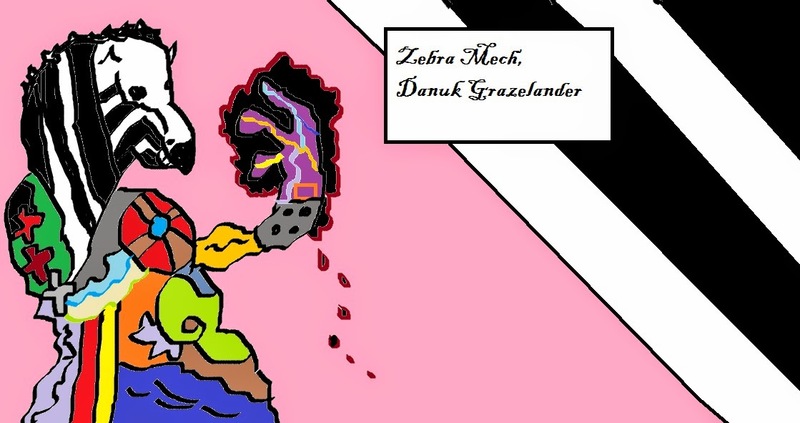 Well, my zebra mech warlock Danuk Grazelander symbolizes the end of my journey. I accomplished 26 blog posts throughout the month of April. I’ve met some cool people and have gotten some eyes on my blog. I’m happy with my results for the most part, but I tapered off on reading a lot of blogs toward the end. I did find some ones I like a lot and will continue to check out as time goes on. There are lots more people who love silly fantasy as much as me. Thanks again to everyone I’ve met and interacted with along the way. My blog will probably going into a cooling off period for a bit, but expect more from me down the line. I do have a question for those who have visited: which kind of posts did you enjoy the most? Was there a particular one you thought was cool? Also the Bad Fantasy Art I do, I mostly do for fun. It’s my sort of guilty pleasure now. Hope some people enjoyed them as much as I enjoyed making them.